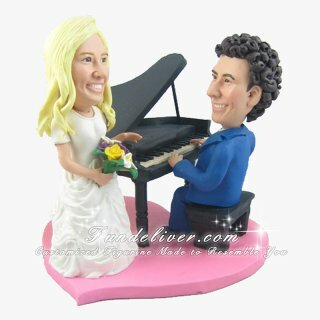 This is a completely customized piano theme wedding cake topper ordered by one of our customers. The bride's wedding dress is short-sleeved and the bottom half "billow-y". Holding yellow, purple, and white flowers in her right hand and leaning against the piano with her left. Groom wears a blue suit. A medium-colored "royal" blue suit, white shirt, black tie. The color of the suit is important, like the most medium blue. 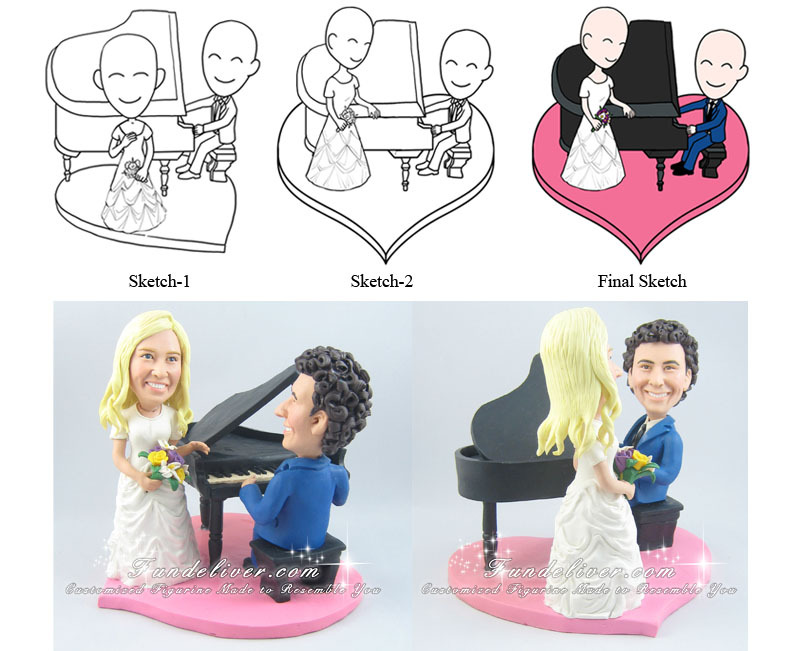 Custom piano player and piano lover theme wedding cake toppers and cake decoration. Perhaps you and your fiance/fiancee met in one of those themes. Why not have all your smiles in your wedding cake toppers? What could be more meaningful than a cake decoration that reminds everybody of your common theme and interest?